GAMES in hand are not points in the bag. “We still have to go on the field and do the job,” says Mamelodi Sundowns star attacker Lebohang Maboe. Maboe faces his former side tonight (7.30pm) when Sundowns host Maritzburg United at Loftus Stadium. The Brazilians are four matches behind in the Absa Premiership, owing to their hectic schedule which includes the Caf Champions League. But it will be reckless of Pitso Mosimane’s boys to count their chickens before they hatch. “Having games in hand doesn’t mean you’ve got the points. You have to earn them,” Maboe reasoned. Yet, Maritzburg have a knack of upsetting Sundowns, with a crunch clash invariably anticipated between the two sides. “They are under pressure . . . bottom of the log and they will come out guns blazing tonight. I’m expecting a difficult game,” said Maboe. The Team of Choice are rooted to the bottom of the log with 11 points, battling to turn the corner despite changing their technical team. A part of Maboe feels for them, with the midfielder acknowledging the role the team played in his career. “It’s very sad seeing where they are at the moment. I just hope they do come out of the bottom half and they are still in the PSL next season. I do sympathise with them,” Maboe said. “I don’t think I’d celebrate should I score a goal against them. It’s just me appreciating them bringing me to the Premier League. I’m glad to show them the respect. But this does not mean Maboe will reserve any empathy for them on the pitch. The Tshwane giants could move to third spot with a win and close the gap on the log leaders – Bidvest Wits and second-placed Orlando Pirates. 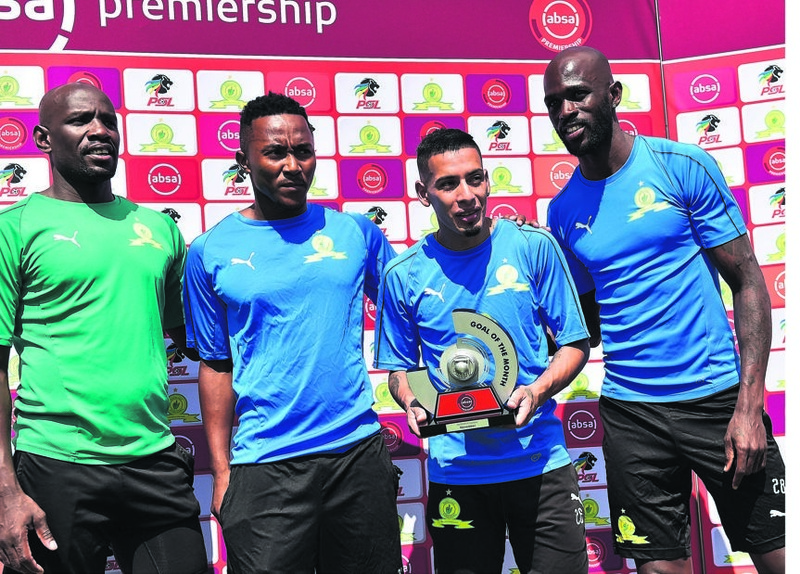 Meanwhile, Gaston Sirino’s stunning curling effort against Free State Stars has won him the Absa Premiership Goal of the Month November 2018. 3 PICS: DJ TIRA BLESSES HIS CREW WITH CARS!